Beyond belief but it's Ireland 2019 so anything goes. Those scrotes responsible probably would claim a deprived childhood. That is just so awful. What is the security like there? I visited this place with each of my young nephews and they and I thought it was just amazing (and creepy)! A hidden gem. Sad that it happened, but it may up the game for St. Michans. In time I am sure they can commission a replacement head and keep going. Sh1t happens. The scoundrels though. Same people who kidnapped St. Laurence O'Toole's heart perhaps?!!!!! It may turn up again some time in the future. More likely to be druggies or weirdos who frequent the graveyard. I'd question the security arrangements on these historic churches, but really all churches need their security checked. The least I'd expect is an alarm system anyway. Personally I think it's time that the remains were buried in a more secure location. People seem to forget that these are remains of actual human beings and not exhibitions to be gawk at by tourists. In time I am sure they can commission a replacement head and keep going. Upping the game would require resources, and I would be surprised if St Michan's, like any of the inner-city Church of Ireland parishes has much by the way of resources. I agree. And for that reason I have never been interested in visiting the vaults. I think it is a gruesome sight for tourists, and particularly for children to see. I felt the same when my parents brought us as children to the museum and there was a mummy in a glass case. It terrified me! Sh1t does not happen. This was willful destruction and desecration. Sticking the deviants head on a pike after every parishioner has had a chance to flog them with a cat of nine tails. It was the single coolest historical place in Dublin for me. I'm generalising but a lot of children like the spooky, ghoulish, scary etc. Yup. I was one of them. I'd agree, but mainly boys love that creepy stuff. Don't disappoint me and tell me ye are girls now! If you mean the church, it won't close as it is still in use as a church. The vaults bring in some revenue from tours so I doubt they will be closed either. These lovely historic churches still retain small but loyal congregations. It was a regretful decision when the CoI closed St. Mary's in Mary Street and St. Paul's in N. King Street. But that was then, and this is now. Property is viewed differently now. I think it's disgusting. As a poster above said these are actual remains and not just an exhibit. I hope whoever did it are caught. It would take a certain disconnect from society to do such a thing. "The Vicar of the Christ Church Cathedral Group of Parishes, of which St Michan’s is part, Archdeacon David Pierpoint said he is upset and disappointed that the church has been targeted again by vandals. 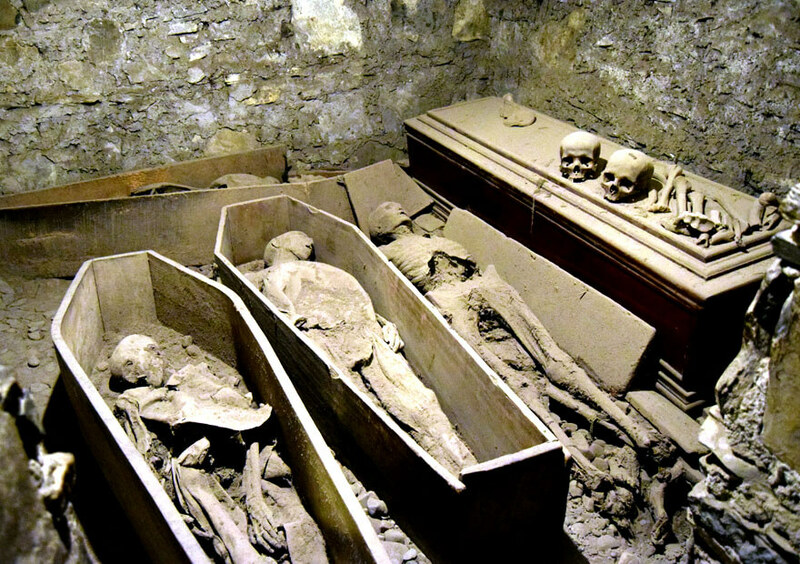 The crypt of St Michan’s was vandalised in 1996. “The actions of these people are devastating and sacrilegious. We are upset at the amount of damage that has been caused. But also the crypt will have to close so tourists will not be able to visit. It is very frustrating,” he said adding: “I would appeal to anyone with information to contact the Gardaí.”"